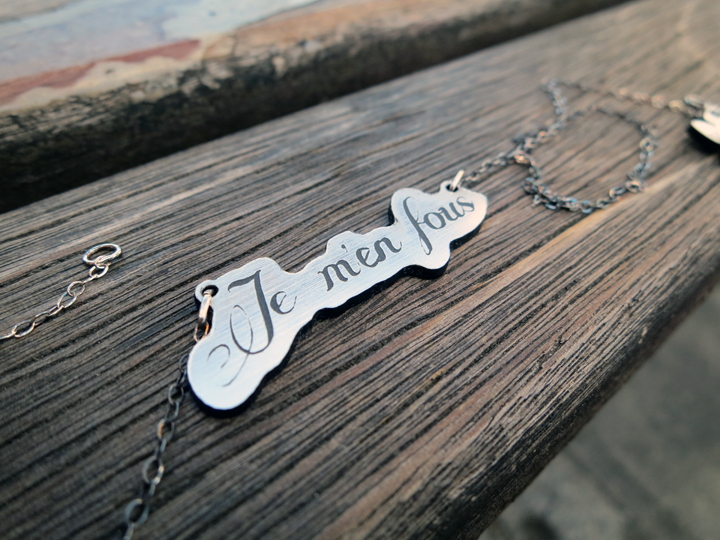 When I saw Vinca’s ‘Je m’en fous’ necklace, I chuckled inside. The silver-tone pendent is engraved with ‘I don’t give a f*ck’ in French, which evokes my thought process when dressing up every morning. When I first entered “corporate America”, I always had this assumption that people will take me more seriously if I wore pencil skirts, collar button-up shirts, skirts with tights, and blazers. I’ve attempted to adapt to my surroundings over the years by dressing more business cas., even copying what other women were wearing around the office. I quickly realized that this kind style just wasn’t for me. I felt very stiff and uncomfortable. I didn’t feel confident in myself and ultimately I felt kind of boring. That’s when I started the “I don’t give a f*ck” mentality. I started wearing what I wanted to wear— mixing streetwear with business casual attire. I skipped the clean button-up look for oversize graphic tees and statement necklaces. I took a break from skirts and wore boyfriend/baggy jeans. I was afraid that my coworkers were going to judge me but in the end, everyone really loved my street-chic style! 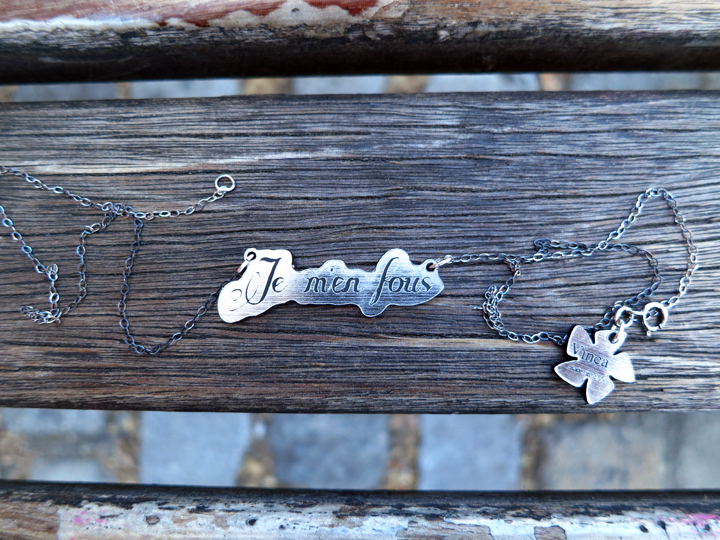 This is why I love Vinca’s ‘Je m’en fous' necklace. It is the perfect accessory for fashion gurus who want to make a statement. 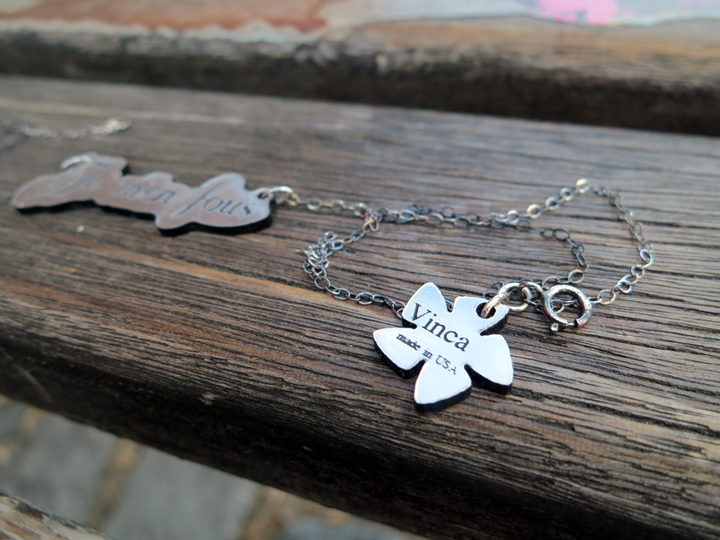 This necklace is one out of many whimsical accessories from Vinca that will help spice up your wardrobe. The jewelry and accessories line is the ultimate cure for the bored-with-everything fashionista. Headed by designer Amanda Dimova, the brand creates super sweet, sometimes devilish acrylic and wood baubles.